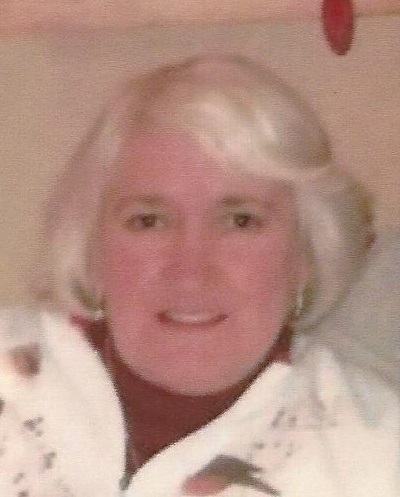 Jacqueline Hutchins, age 83 of North Branch passed away on Friday, March 22, 2019 at McLaren Lapeer Region Hospice. Jacqueline was born on January 13, 1936 in Burlington Township, the daughter of William Bell and Elizabeth Joy (Hickie) Richards. Jackie married Ramon “Jerry” Hutchins on June 29, 1957 in California, he was the love of her life. Jerry passed away on April 16, 2018. Jackie was a member of the North Branch Alumni and she graduated from North Branch High School in 1954. Jackie enjoyed working on ceramics, crafting, reading and baking wedding cakes. She was very involved in her church, The Good News Assembly of God in Marlette. Most of all, her family and grandchildren were very important to her and she loved all of them. Jackie is survived by her daughters; Buffy (Russ) Kaake of North Branch, Lori (Duane) Naracon of North Branch, Dawn (Mike) Greenley of Lapeer, Denise (Mark) Vandercook of Caro, sons; Mike (Sally) Hutchins of Imlay City, Scott Hutchins of Texas, Rich (Colleen) Hutchins of Comstock Park, Chuck Hutchins of Lapeer and Chip (Kendra) Hutchins of North Branch, 28 grandchildren, 29 great-grandchildren, with 1 great-grandchild on the way, 1 great-great granddaughter, brother William Richards from Grand Blanc, sister Deborah Richards from Rochester, and brother-in-law LeRoy (Janet) Hutchins from Burton; many nieces and nephews. She was preceded in death by her parents, husband, daughter Tracey, sister Jean Richards ,one great-granddaughter Mariah Morris Seaman, brother-in-law Owen Hutchins and sister-in-law Bonnie Fox. at Blackburn Chapel-Martin Funeral Home. Pastor Roger Keur will officiate.